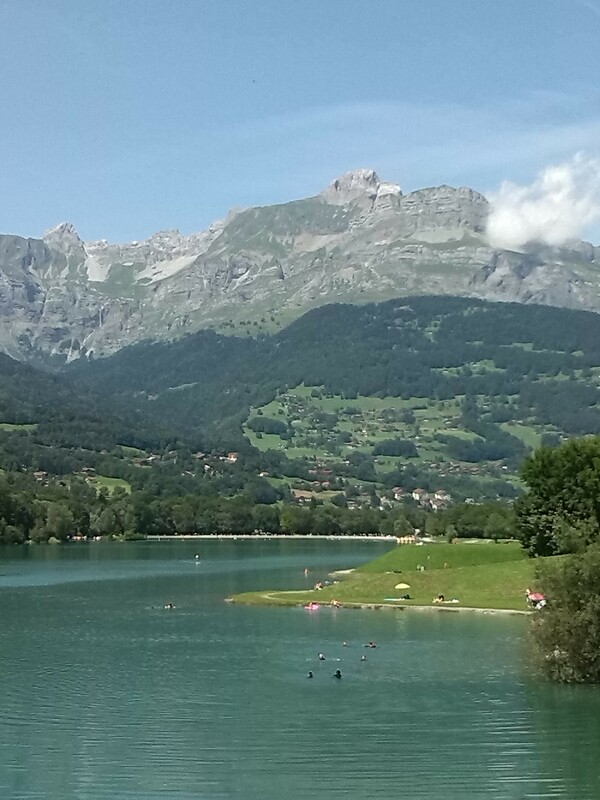 Not to be mistaken for Col Joux plaine, Samoens, a great circular ride starting from the pretty Lac of Passy. Steady gradients and sweeping hairpins mainly 7% with a couple of 8% and a few easy 4% at the Plateaux Passy. The views towards Mont Blanc and surrounding mountains are spectacular along the way. With the summit popular with paragliders racing off the mountain edge, spectators watching in awe. A couple of Cafes and ski lifts at the top make this a great few hours cycle on fairly quiet roads. Image | This entry was posted in Cols under 1500 m, French Alps, Uncategorized and tagged Col joux paine, passy. Bookmark the permalink.